If you are planning to get into the pharma business you may be better off with a pharma franchise. You do have the option of opening a drug store and store different drugs manufactured by different pharmaceutical companies. Nevertheless, if you do so you would be representing various pharmaceutical brands rather than an exclusive brand. You would rarely get any promotional material for increasing your sales. Alternatively, if you go for a Pharma Franchise Company, you may get a lot of help in selling the drugs. In fact there are several benefits of partnering with such companies. 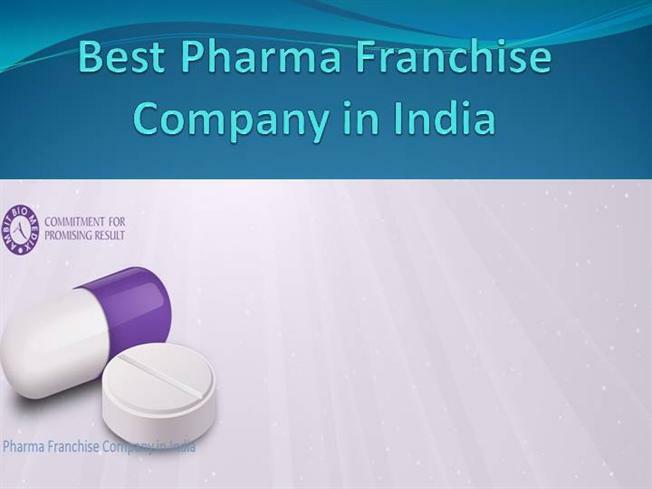 Most of these Pharma Franchise Companies sell only those medicines which have the highest sales volume. So you would store medicines like a wide range of antibiotics, anti-inflammatory medicines and ointments, analgesic medicines, medicines prescribed for gastrointestinal problems like antacids, expectorants and anti-tussive medicines, nutritional supplements, a range of allergy medicines etc. This ensures that your stock is exhausted in less time. In comparison, if you are an independent retailer or distributor, you should not expect to exhaust the stock in such short time. The company would also help you to market your products. They use material such as visual advertisements, banners, posters, and danglers, product glossary and cards, writing pads and diaries, advertisements in newspapers, bags, t-shirts, reminder cards etc. While the ads will be placed by the Pharma Franchise Company, you would be supplied with the other promotional material. You have the wherewithal to impress your clients with materials like T-shirts, product glossary, bags etc. These materials can create an impression on the client and make him or her visit your franchisee shop again. Many of these franchisee companies have their own android or other apps. With the help of these apps you can transact your business and manage your inventory with live feeds. So you are never running out of medicines. A Pharma Franchise Company needs to be properly certified in order to win the trust of patients. WHO and GMP are the two certificates that people look for. Although, many patients have the least idea about WHO and GMP certification, there are some patients who insist on these. So make sure that the Franchise Company possesses all these certificates. Since most of these companies don’t manufacture their own medicine, it is necessary that they procure their medicines from WHO & GMP certified drug makers. This is to make sure that patients can rely upon the medicines sold by a Pharma Franchise Company. So make sure that the process of procurement of medicine is completely transparent. Also look for proper ISO certification. There is a ISO certification for manufacturing of medicines and also a ISO certification for distribution of medicines. So make sure that the Pharma Franchise Company possesses the required certification for manufacturing and/or distribution of medicines.